Here is a fantastic article about use of VPN. You can easily access all blocked sites on your windows.If your VPN connection is established then your are secure and you can easily access blocked sites. VPN also encrypts your browsing data so that no one can see your browsing history or your browsing data. You can use VPN on your whole operating system or you can use it on your browser separately. I will tell you that how can you manually set VPN connection to your windows. I have found a tremendous VPN site. You can also access free Socks and PPTP VPNs using the site. you can check this site by clicking Here. 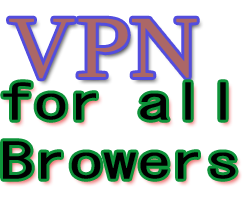 Below is a complete method to open blocked sites using free VPN. I am using windows 8 right now so I explained my method on Windows 8. Using this method, your all operating system will connect to VPN and it will apply to all of your browsers automatically. Once your connection is established, you can open blocked sites on all of your browsers. Below are easy steps for doing this. 1. Go to Control Panel. You can access Control Panel by searching it on Windows 8 search bar which appears when you move your cursor to the top right corner of your screen. 2. Now click on View Network Status and Tasks under Network and Internet. One thing to be remember that your View Style is must be Category. 3. After clicking it, a window will open. Now click on Set up a new connection or network. 4. Now click on Connect to a work place and click Next. 6. Now click on Use my Internet Connection (VPN). 7. Now it will ask you Internet Address and your Connection name. You can get you Internet address from this Link. Internet Address is basically the IP address of VPN Connection. Just copy the Internet Address from this site and paste it after Internet Connection. Now name your connection in Destination Name tab and click on create. Now your VPN connection has been created. 8. Now the question is that how to connect your VPN. It is very easy. Open your network connections by clicking on icon of signals at bottom right of your screen and select your VPN connection and click on Connect. It will ask you User name and Password. Your user name and password is located at above mentioned site right after your Internet address. Just copy your login from above site and click on connect and your VPN Connection is ready to use. You can browse blocked sites. watch videos and do more stuff. Wow so nice all kind VPN I like this this site very much and some days ago i have got a site and here has huge online support. the connection was not made. I can access any blocked sites via HotspotShield, plus this app is free, couldn't be better! Cool manual.Thanks for your job. Cool tricks to unlock new sites.Thanks for your job. This trick doesn't work. I tried a lot fee ways to unblock blocked sites/channels. I recently came across to https://www.hide-my-ip.com/ and found it pretty useful, not only does it cheap, but also secures online activity at the same time. Factually stated, about 75% of Devices are Operated using Windows. 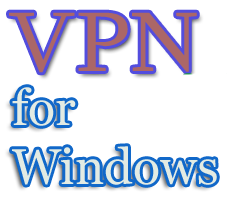 FastestVPN offers Best VPN for Windows for complete anonymity to the users of Windows. Use promo code icm10 for discount price. Virtual Private Networks are now considered to one of the best online security solutions out there for cyber crimes, data theft and online surveillance by the third parties. With world-class military grade encryption available, all your data remains completely safe from all evils of the cyber world.